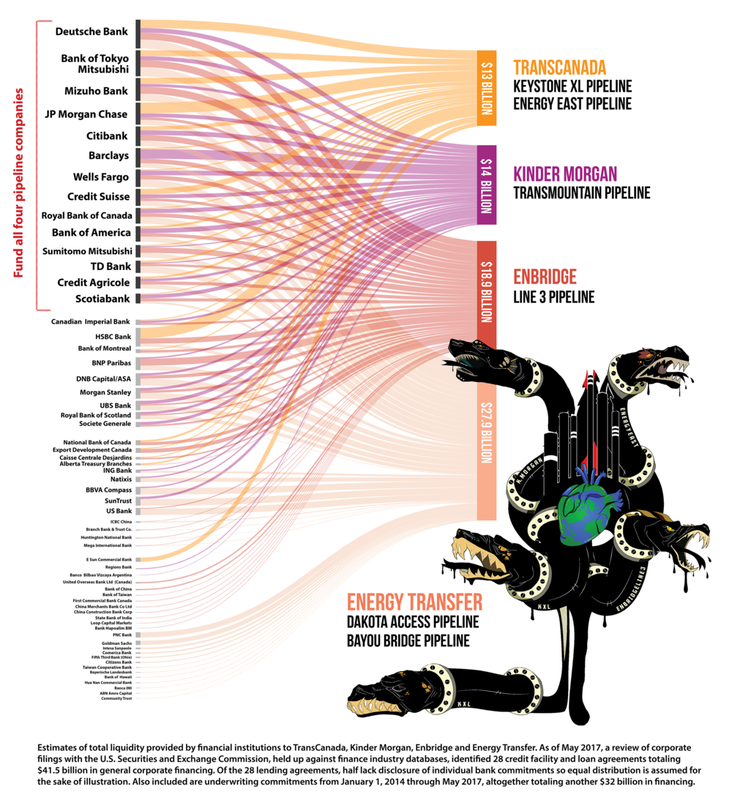 Primary targets are banks that provide funding to the companies behind Dakota Access, Trans Mountain, Line 3, and Keystone XL. We removed BNP Paribas from this after the bank announced it will cease all funding of companies whose primary business is tar sands, fracking, or Arctic drilling. This means they will not make any loans in the future to Enbridge, Energy Transfer, Trans Canada, or Kinder Morgan. We will update this graph by the end of 2017.